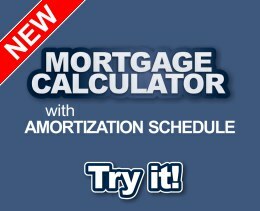 Our mortgage calculator has been rebuilt in order to make it more powerful while at the same time, easier to use. Adjust mortgage rates, terms and amortizations or add lump sum payments and see how it affects your mortgage balance over time with our new custom generated charts and graphs. An expert mortgage broker is worth his weight in gold. Using the right broker can simplify the home buying process and can save you tens of thousands of dollars in interest over the course of your mortgage. Don't hire an amateur; an experienced broker knows what type of mortgage is best and how to find you the lowest rates in Canada.